At HPS we strive to 'be the best' at what we do. 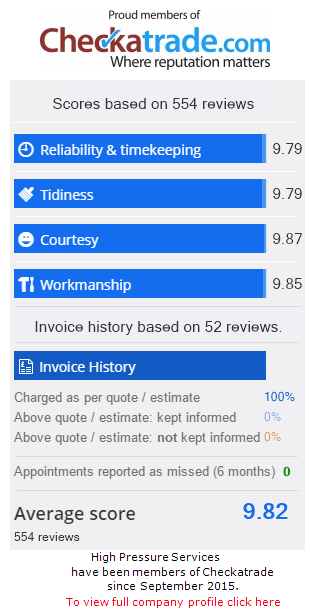 This is why have invested, and continue to invest in the latest professional pressure washing and steam cleaning equipment on the market in order to leave every job looking its very best. 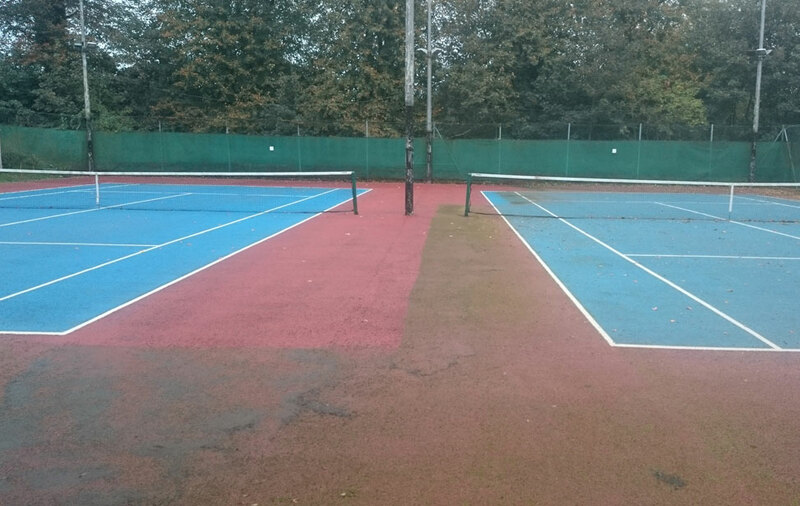 We pressure wash all types of hard surfaces including tennis courts. 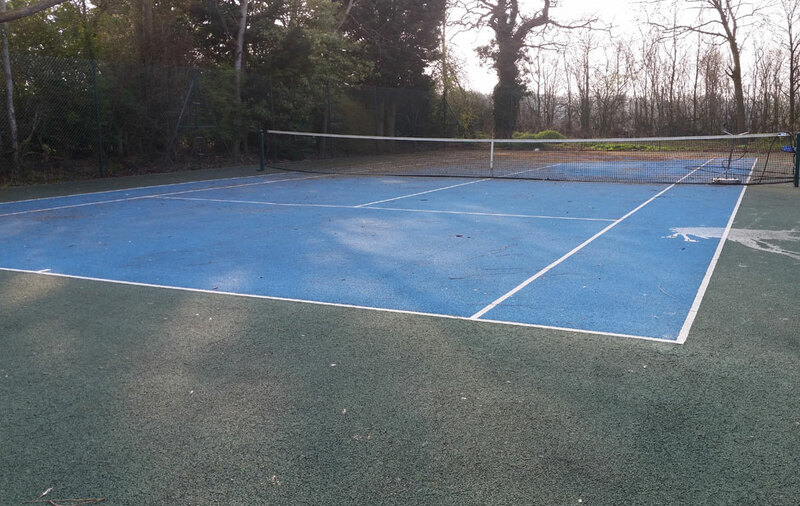 Whether it be a tennis court at a private residence, local tennis clubs or bigger institutions, we can clean them all. 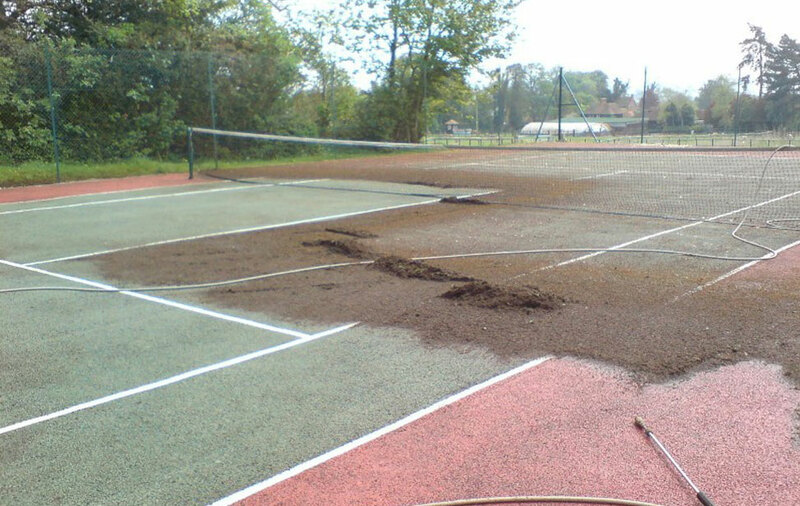 Even if the court has been left for many years to accumulate a carpet of moss, no problem. 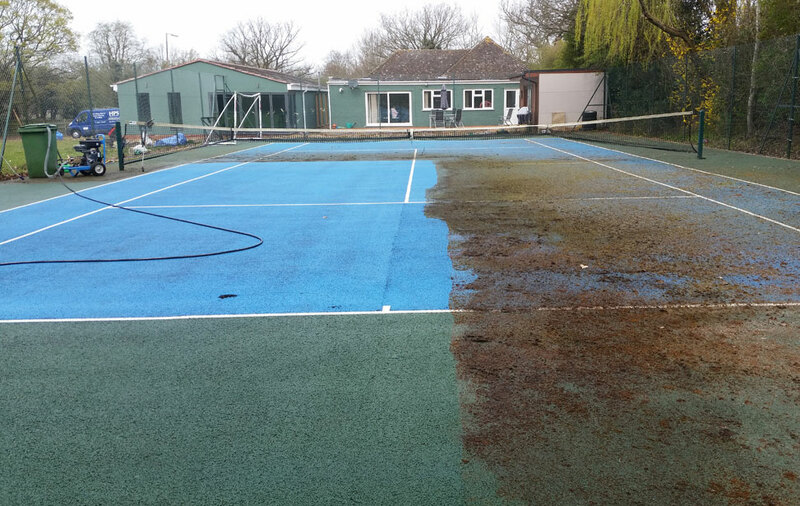 We can remove all dirt and moss from the surface of your tennis court rejuvenating the look and feel under foot. 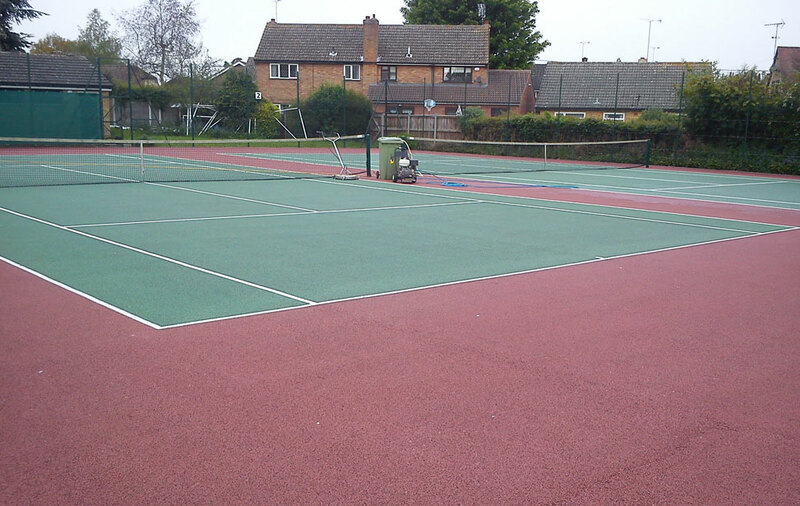 By the time we finish the cleaning, your tennis court will look and feel like new again. The ball won’t be slowed down or influenced by the moss under foot and your shoes will grip to the surface again. Plus of course it will visibly look a lot better. 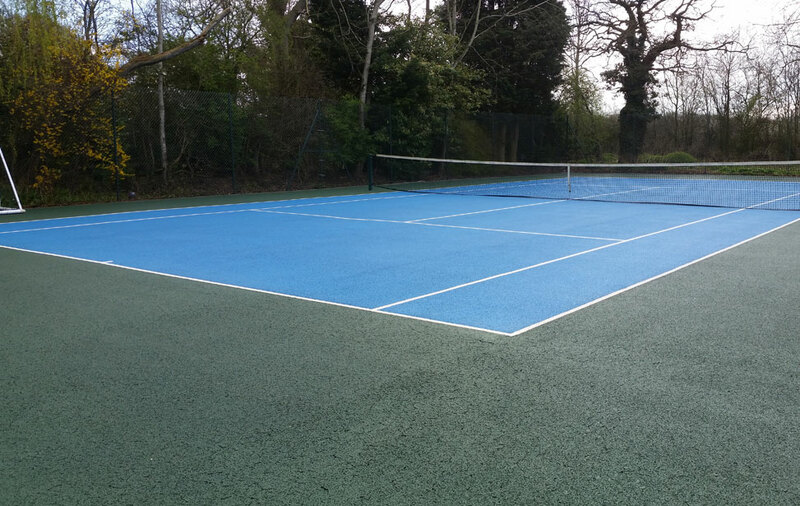 As an additional service, we also provide optional ongoing care to keep your tennis courts looking better for longer. 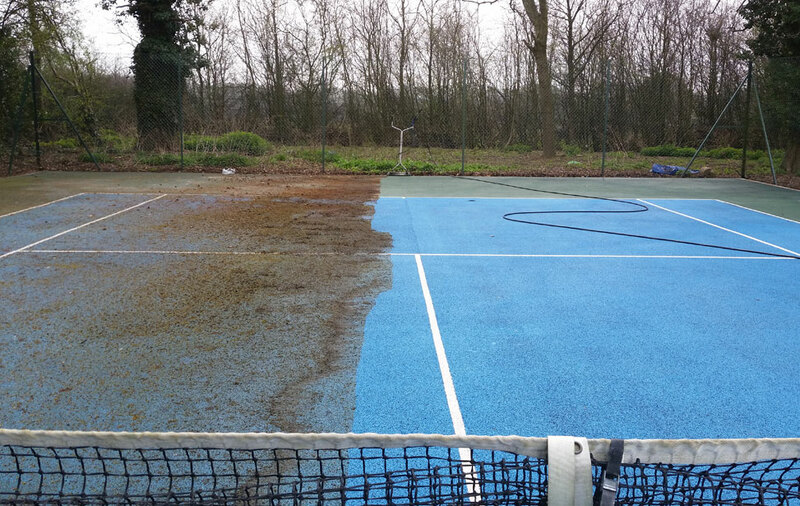 We usually come and spray an anti-fungal (moss) solution to the surface annually / bi-annually to help keep the moss away for that little bit longer. It won’t keep it clean forever but it will help to keep it cleaner for longer.